We carry a wide variety of custom door hinge kits for your Lamborghini, suicide or Gullwing door conversion. Get a set for two doors or two sets for four door vehicles. These kits come in many different configurations, from automatic wireless to manual operation. Mo matter what the application X2 has a custom door hinge solution. 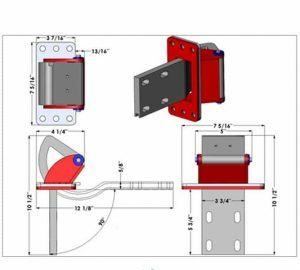 Most hinge kits are a universal design, meaning that they will install on all vehicles. Installation requires special technique, fabrication and patience. 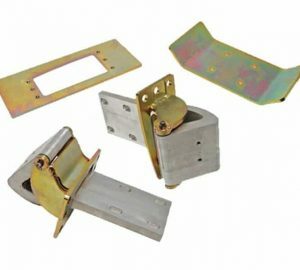 We suggest a professional installer that is familiar with these door hinge kits do the installation for you.